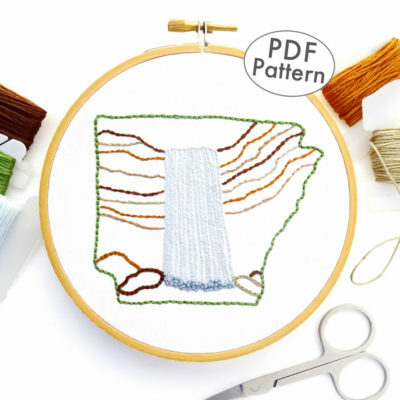 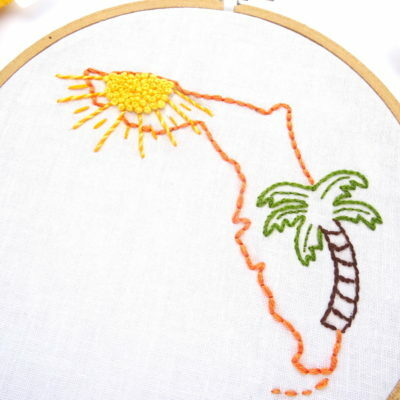 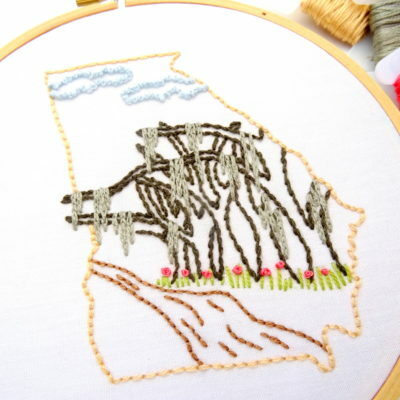 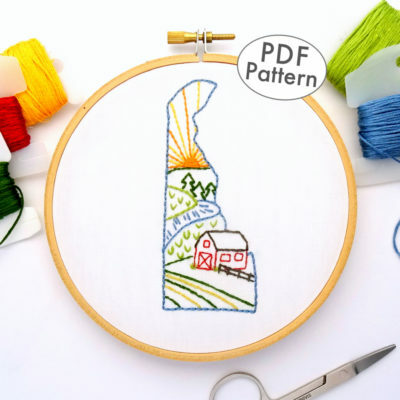 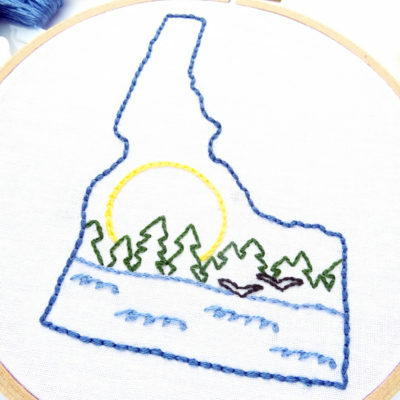 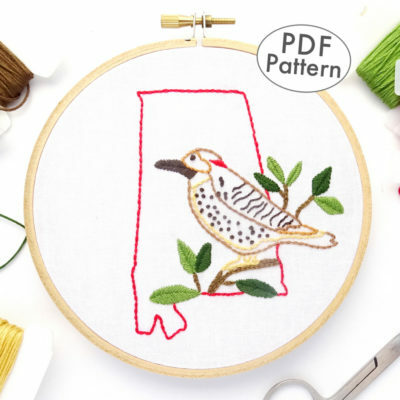 The Alabama DIY Hand Embroidery Pattern features the official state bird within the Alabama outline. 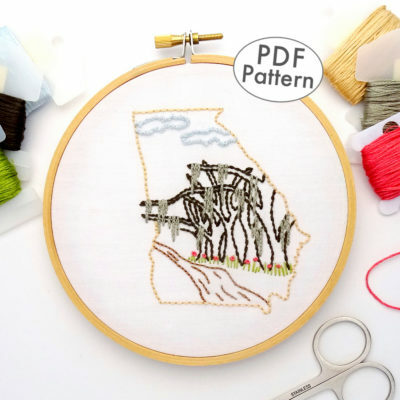 The Yellowhammer – or Northern Flicker – is a medium-sized woodpecker that can be found all over the eastern United States. 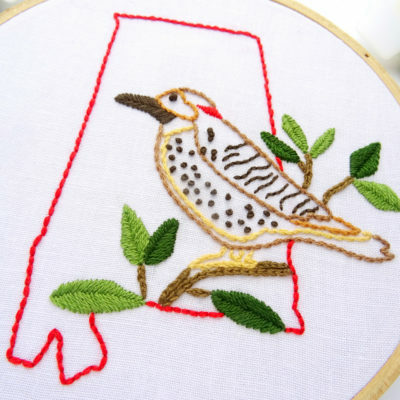 It and has been a symbol of the state since the Civil War and was adopted as the Alabama state bird in 1927. 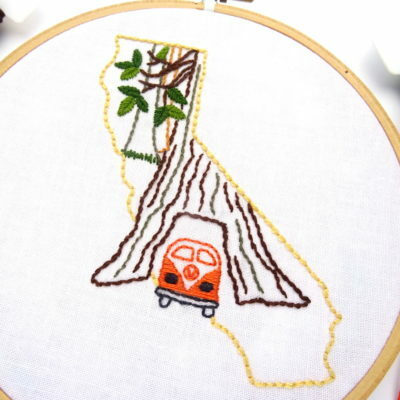 Along California’s Redwood Coast, not one but three giant redwoods offer visitors the opportunity to drive their cars – – or VW buses – through a living tree. 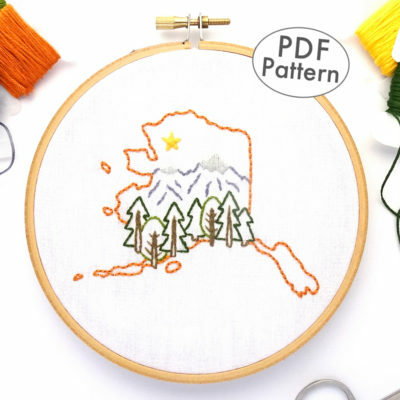 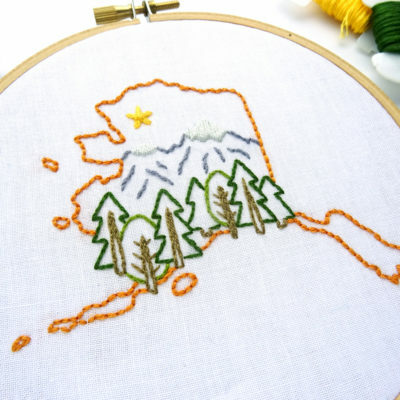 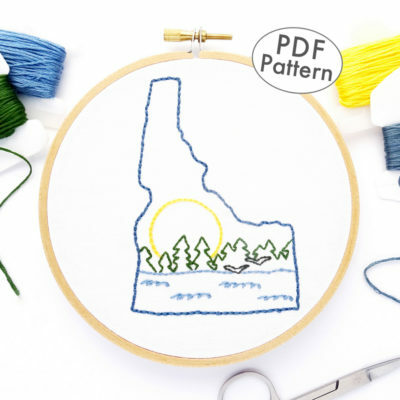 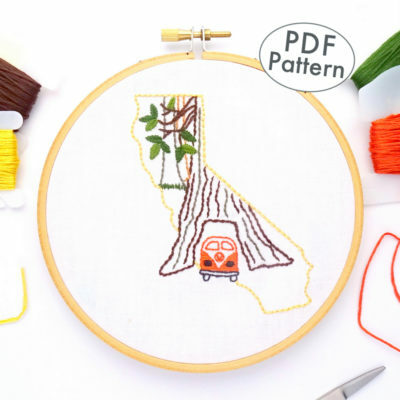 Capturing the novelty of the popular tourist attraction, this one-of-a-kind embroidery pattern features a redwood forest with one giant tree and a VW bus motoring its way through. 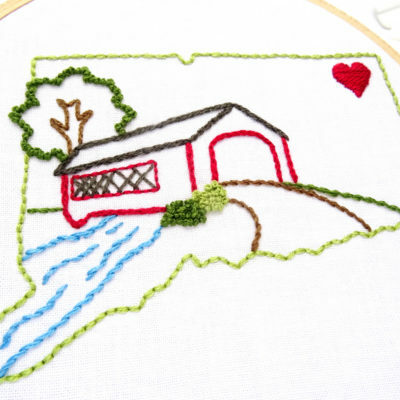 The covered bridge is an iconic image of New England. 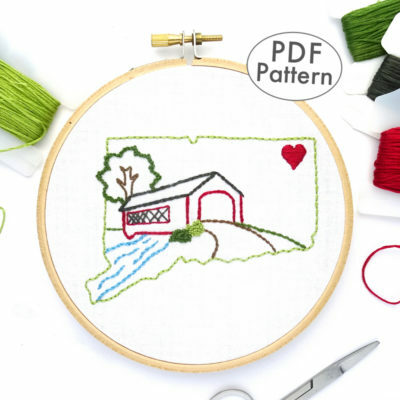 With over two dozen historical bridges spread around the state of Connecticut, this symbol of yesteryear celebrates the skilled craftsmen who built them and the enterprising spirit that remains part of the state today. 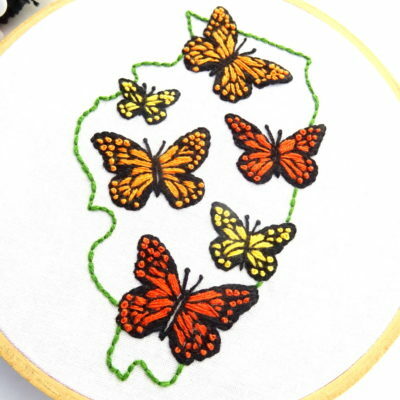 While the yellow hibiscus is the official state flower of Hawaii, there are several other native varieties that flourish around the state. 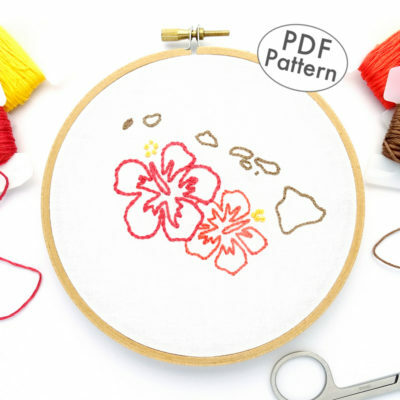 One of the natives is Hibiscus clayi which displays a year-round profusion of large bright red blooms. 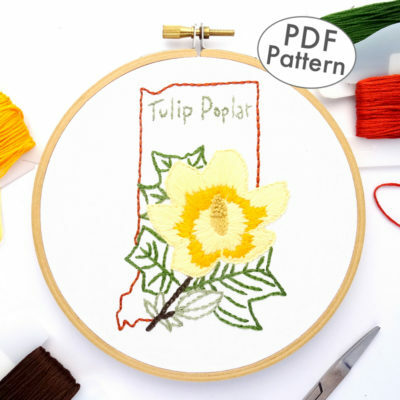 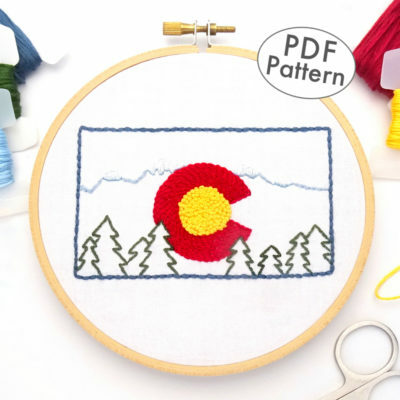 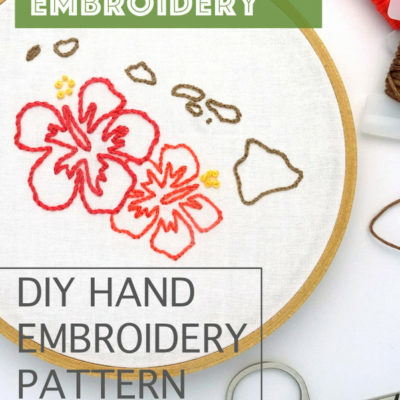 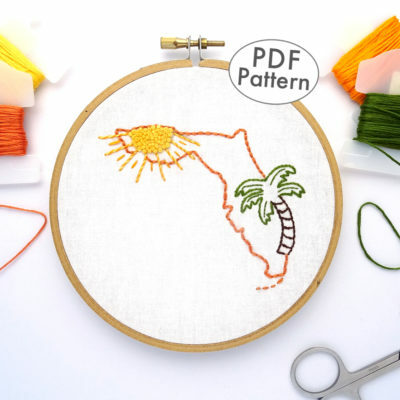 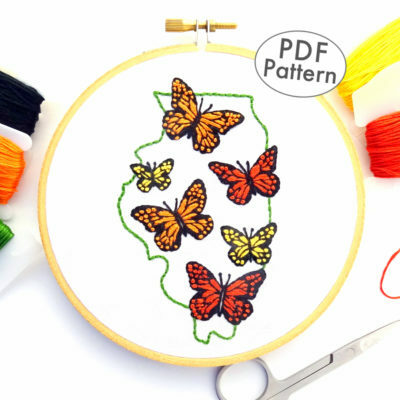 This embroidery pattern combines two bright red hibiscus flowers set amid the Hawaiian Islands to represent the most tropical of all the U.S. states. 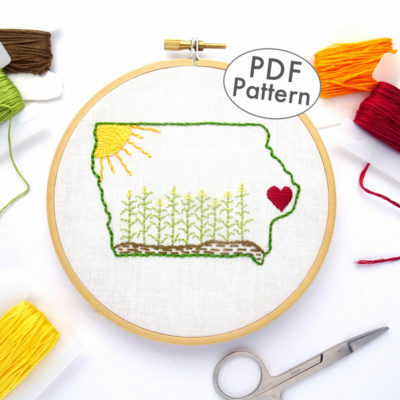 Iowa leads the nation in corn production. 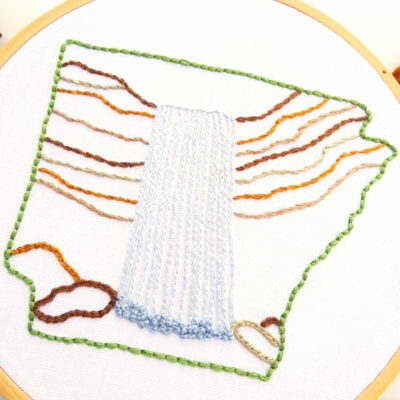 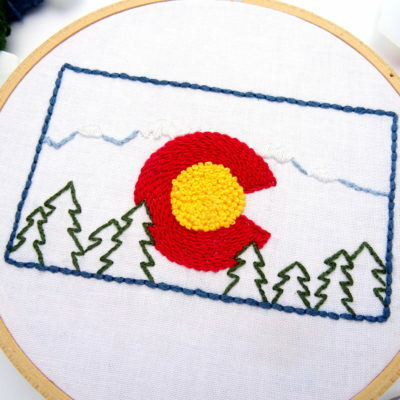 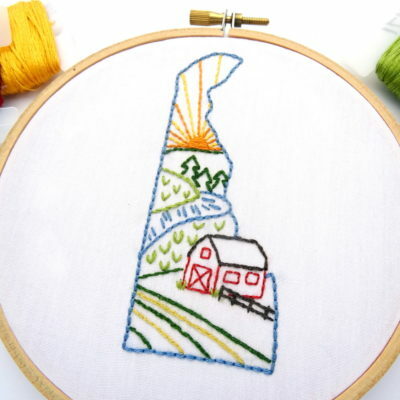 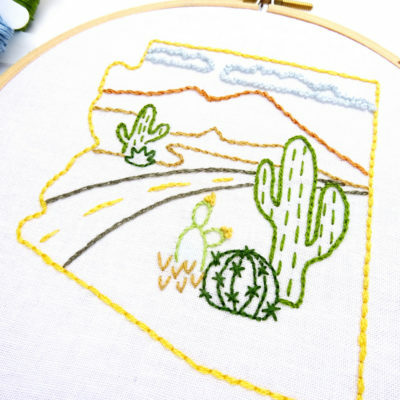 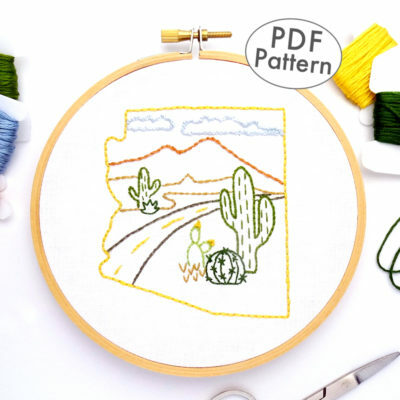 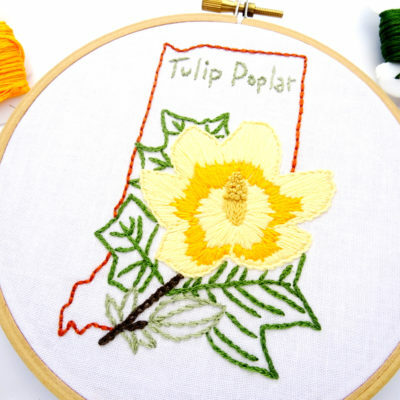 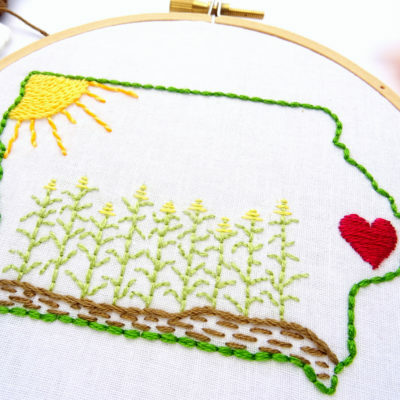 With fields of waving cornstalks spread across the state, this unique hand embroidery design seeks to capture the essence of this midwestern state.